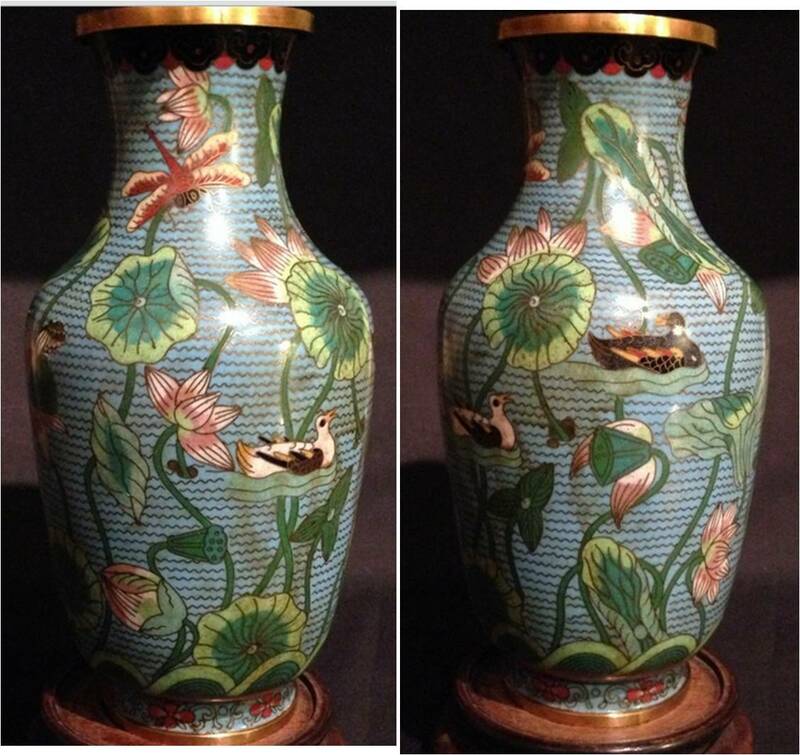 A recent post featured a lotus pond vase with a Lao Tian Li stamp on the base. 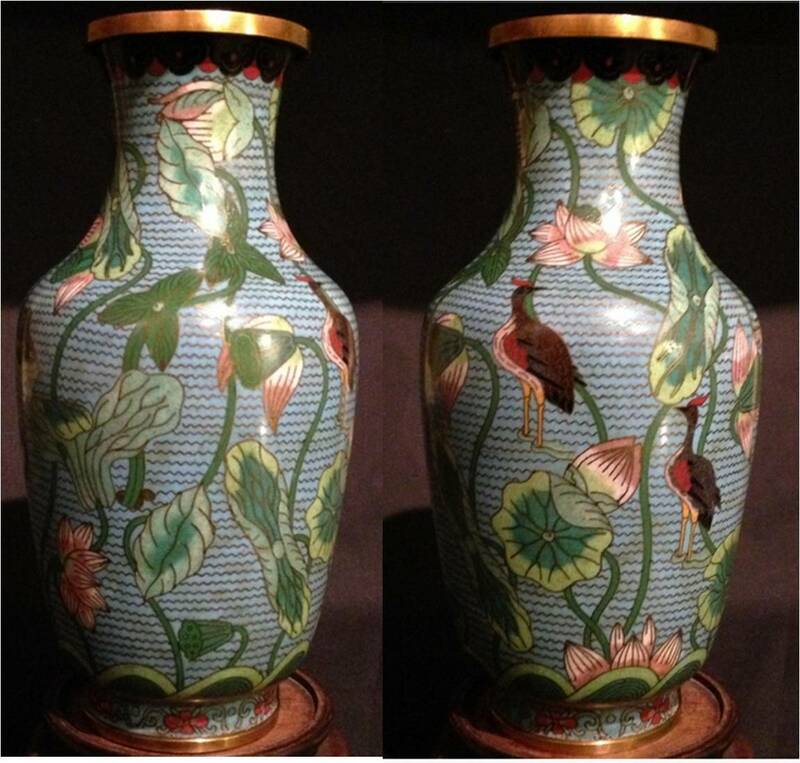 Here is another vase in the lotus pond theme, this time featuring a price sticker from L. S. Ayers & Co. and a "China" export stamp. The U.S. Mckinley Tariff Act of 1890 required all items imported into the United States to be labeled with the country of origin. This stamp looks a bid haphazard, perhaps made using individual lead letterpress blocks from a printer's shop. 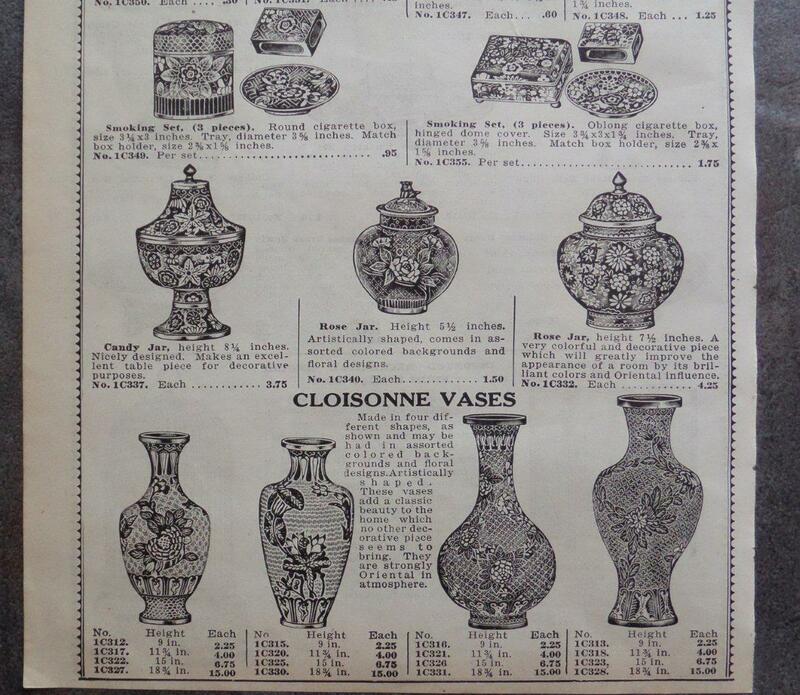 In 1920 a tariff act revision required the words "Made In" as well on country of origin labels. A comparison of the Lao Tian Li vase and the L.S. Ayres vase. 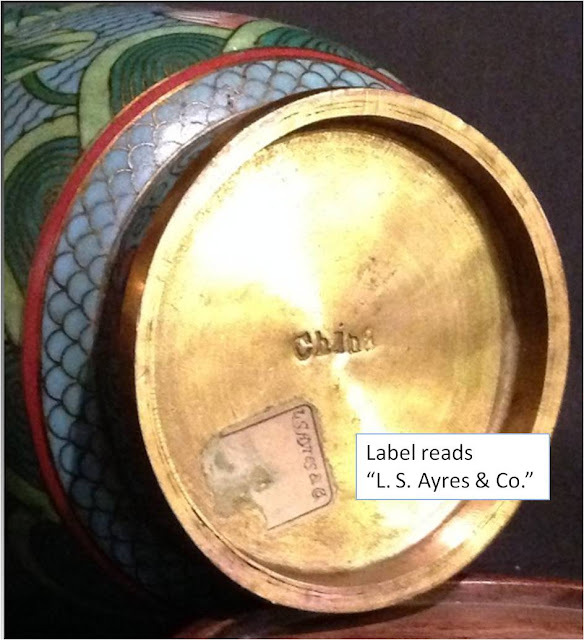 L. S. Ayres and Company was an Indianapolis, Indiana, department store founded in 1872 by Lyman S. Ayres. Over the years its Indianapolis flagship store, which opened in 1905 and was later enlarged, became known for its women’s fashions and Tea Room, holiday events and displays, and the basement budget store. One of the L.S. Ayres buildings is in the National Register of Historic Places. 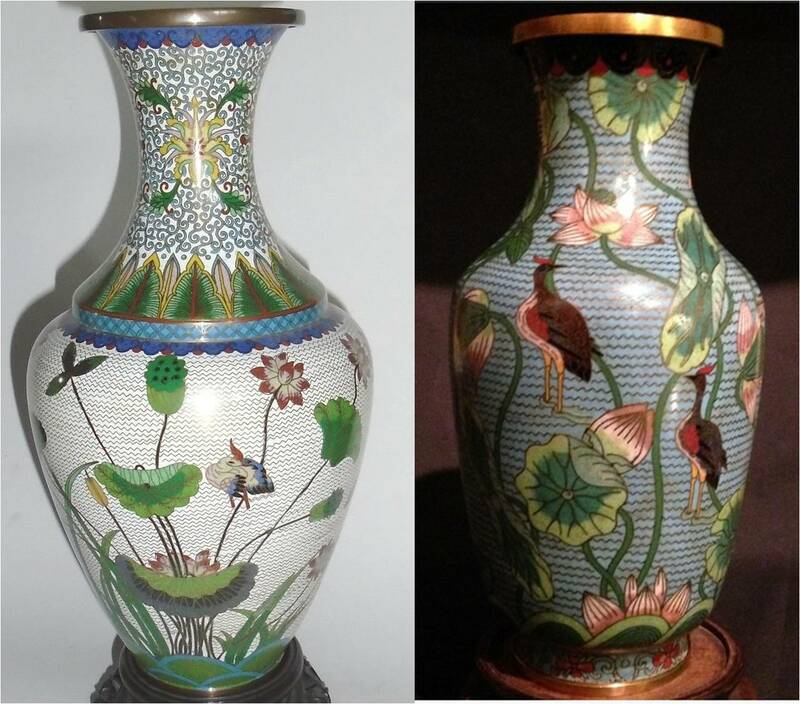 Vase second from left on bottom row displays a lotus pond theme. 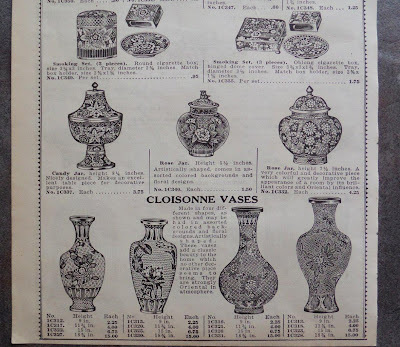 As the catalog's date is 1933, the Chinese merchandise might well date from the 1920s-early 1930s, if only accounting for production, shipping, catalog engraving and publishing time. The L. S. Ayres vase thus seems likely to be a representative example of Chinese cloisonne export wares made for the U.S. market in the decades surrounding World War I and the Great Depression (1890-1930).